Thanks to everyone who entered the Ticket to Ride Summer Raffle. The raffle is now closed. 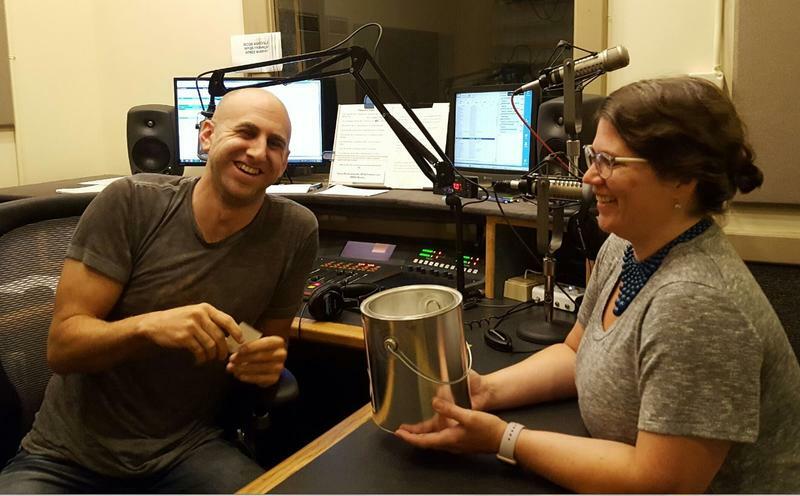 We will announce the winner during the 5 o'clock hour of All Things Considered on August 17th. 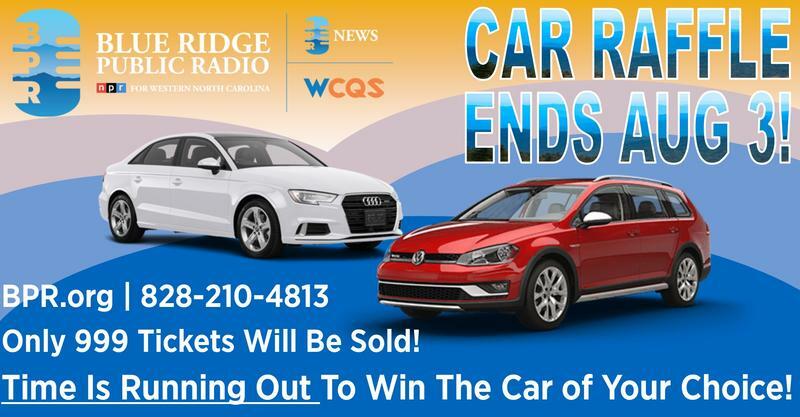 WCQS General Manager, David Feingold, Audi Asheville Manager, Charlie Schieren, and last year's Grand Prize Winner, Mark Medlin will select the winner at random. Stay tuned for the drum roll! The Ticket To Ride Early Bird Winner Is . . . 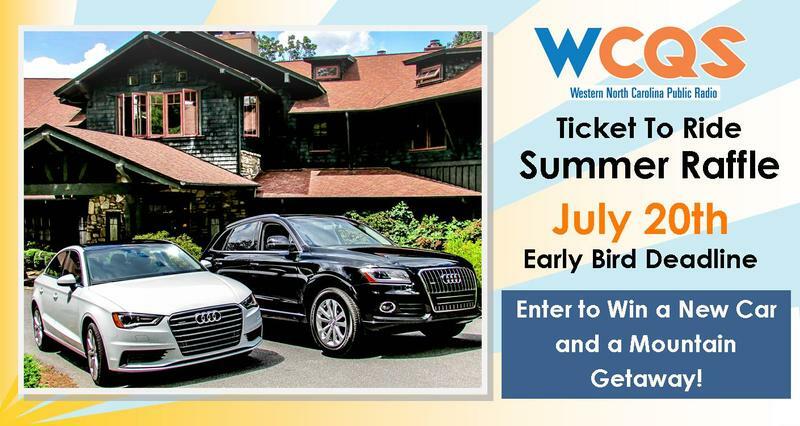 The Ticket to Ride Summer Raffle is in high gear and we have an Early Bird Prize-winner! 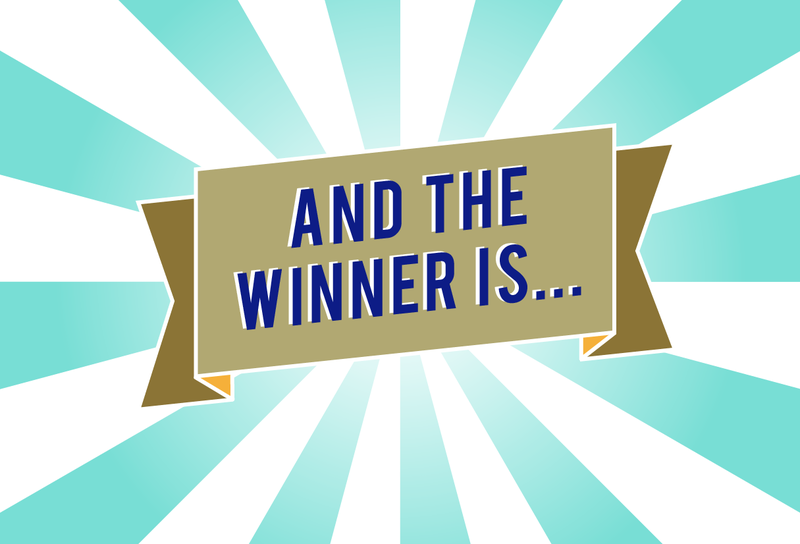 The winner of the mountain getaway and adventure from the Sourwood Inn and Curtis Wright Outfitters is Tricia Franck of Weaverille! 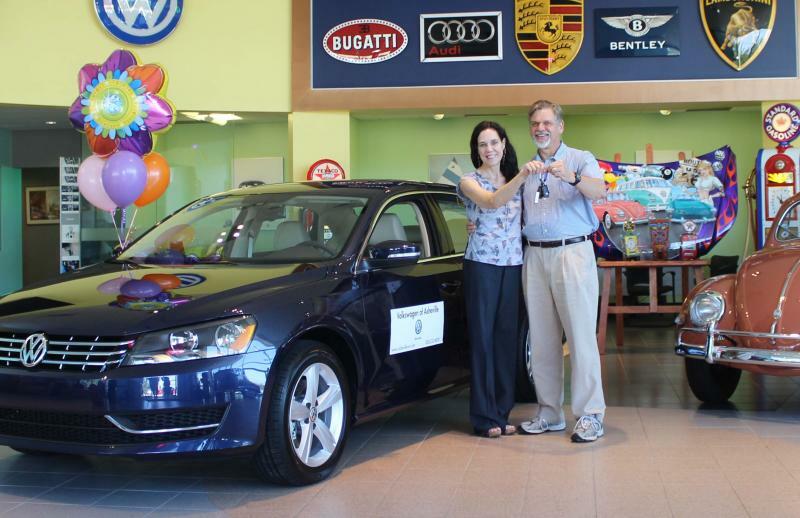 Tricia is still in the running for the Grand Prize - the winner's choice of an Audi A3 or Audi Q5 from Audi Asheville! 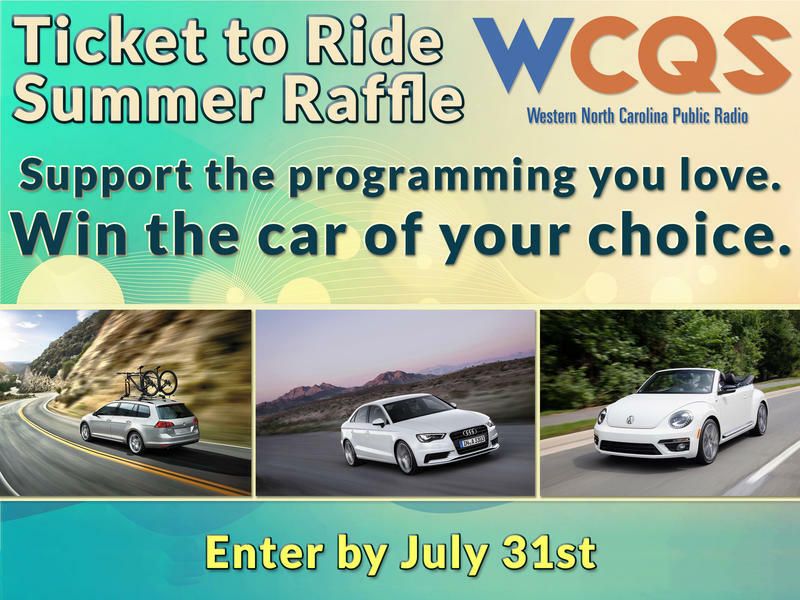 The Winners of the WCQS Ticket to Ride Summer Raffle are . . . The winners of our Spirit of Adventure Prize - a Dagger Mamba kayak and a Yakima roof rack are Pete and Ann Ginkel of Roswell, Georgia. The winners of our Getaway From it All Prize - a luxurious stay at the Old Edwards Inn and Spa are Norma and Bob Kimzey of Clyde, North Carolina.